Thrive Market brings the convenience of hundreds of natural groceries and products in a single shop at wholesale prices. Jezebel readers can take 25% off their first order plus receive free shipping. After which, their free 30-day membership trial will be activated. 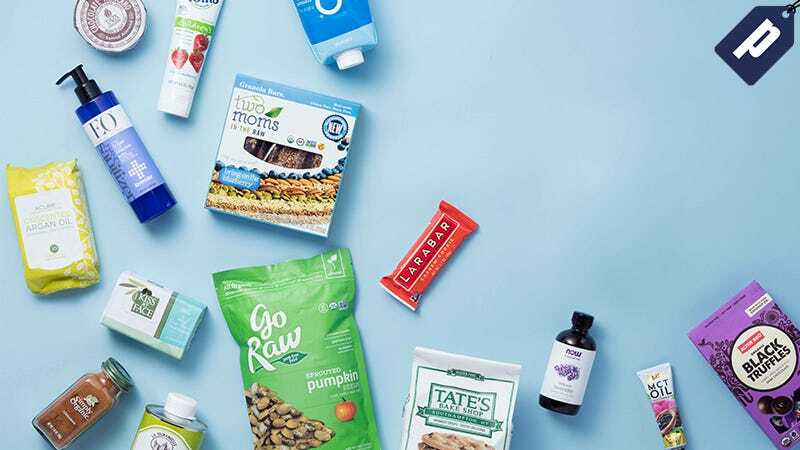 Thrive Market offers organic, non-GMO items in categories like food, natural supplements, personal care, and beauty all at 25-50% below traditional retail prices. Whether you’re looking for gluten-free, raw, vegan, or Paleo options, Thrive allows you to customize the shopping experience and filter the catalog of products based on your dietary preferences. Plus, save on countless popular products like Nutiva Coconut Oil ($11.59, $8.65), The Honest Co. Shampoo & Conditioner Duo ($19.98, $14.95), and Dr. Bronner’s Peppermint Organic Lotion ($9.99, $6.75). Your first 30-days of membership are free, after which you’ll be billed the $59.95 annual membership fee. Save on hundreds of organic and natural goods delivered to you with Thrive Market. Take 25% off your entire first order plus free shipping.